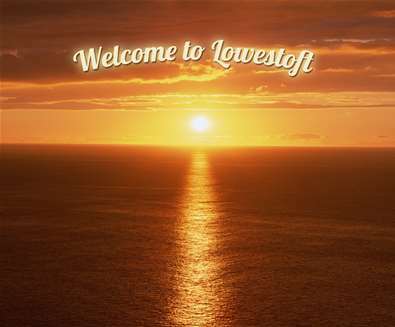 All the way along The Suffolk Coast you are spoilt for choice for great seaside walks. 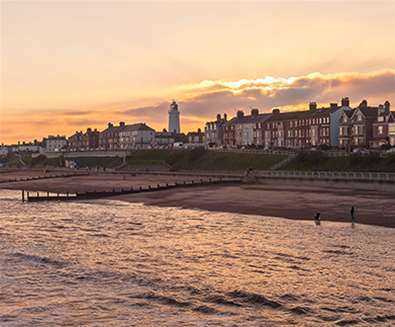 From the traditional seafronts at Lowestoft and Felixstowe to the historic splendour of Southwold and Aldeburgh and plenty in between. The prom at Lowestoft starts in the south at Pakefield and continues along the beach to the South Pier; just a walk across the bridge from the town centre. 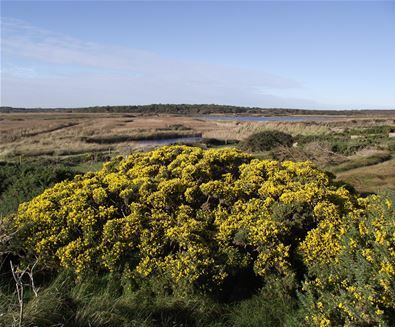 Start at Pakefield and stroll past the wild beach, with marram grass and rowing boats used for fishing. As you continue along the beach, pretty pastel coloured beach huts run along the sea wall. 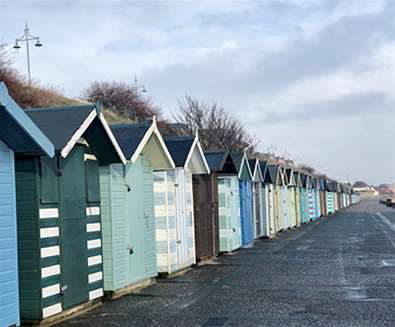 In the summer, these beach huts are well loved, in winter, you can still find a hardy hut owner taking a winter dip or enjoying a steaming hot cup of tea! 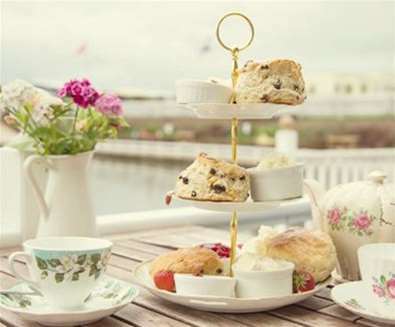 As you pass underneath Kensington gardens, stop by the Sunrise Cafe for a hot chocolate and bacon roll before continuing along the wider promenade towards the South Pier and stop for lunch or a delicious carvery at the Hatfield Hotel; taking in the panoramic views of the sea. 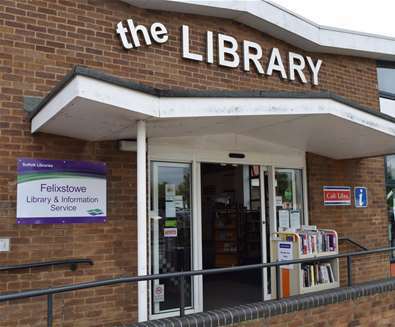 In Felixstowe take a stroll along the seafront taking in the fine Edwardian architecture and the newly regenerated Seafront Gardens – not forgetting the colourful beach huts and miles of beautiful sand and shingle beaches from Landguard Point to Felixstowe beach. 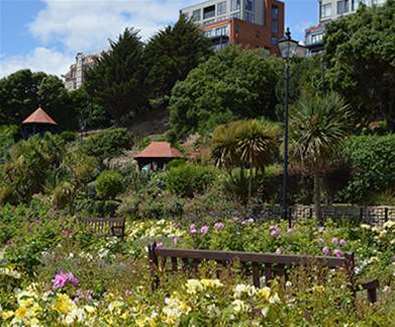 Starting at Felixstowe Beach, pay a visit to the beautiful Seafront Gardens before warming up at Mannings Amusements - traditional seaside amusements with crazy magical golf, a funfair and ten pin bowling. 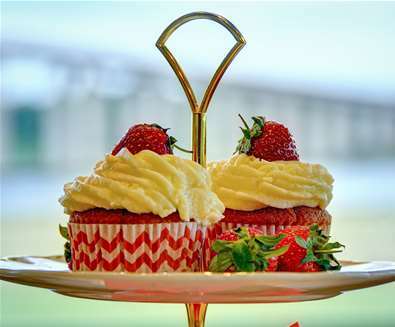 The Treats Cafe serves a range of hot and cold drinks, cakes, sandwiches and snacks during the winter months - the perfect winter warmers! 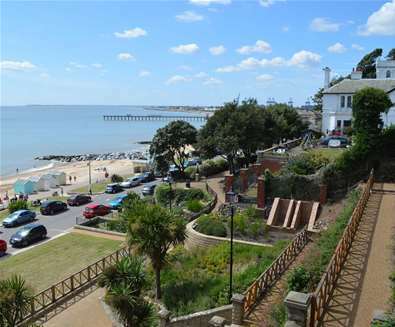 From Felixstowe Beach, walk south along the coastal path promenade until it bends round to the right up to Manor Terrace. From here, you can walk left to continue southbound. 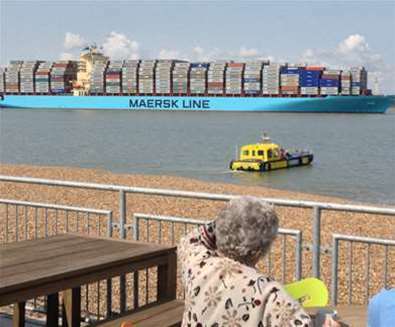 Here the promenade stops, but you can walk to the left and continue along the sea wall by the shingle beach to Landguard Nature Reserve, continuing forward to the end of the shingle spit at Landguard Point. 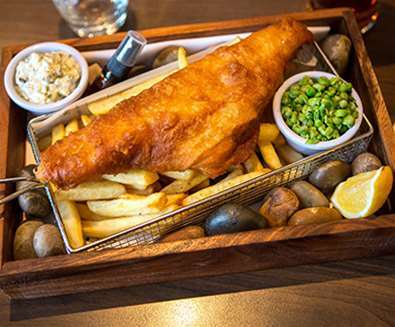 After working up an appetite, find a table at the View Point Cafe and tuck into fish & chips, sandwiches, soups and a range of delicious meals and hot drinks and watch the giant tankers come into the port of Felixstowe. 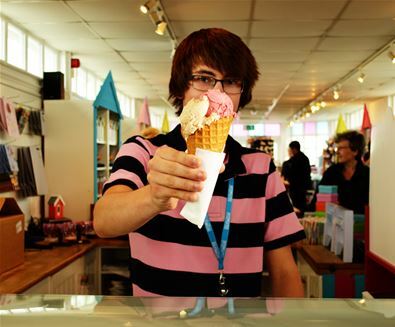 A trip to Southwold, whatever the time of year, is always a joy. 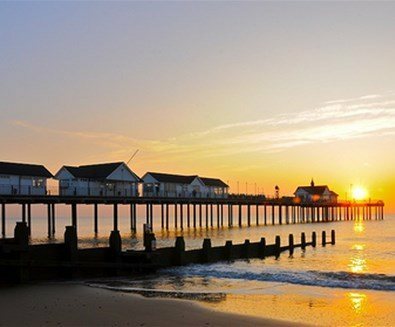 You’ll find plenty of parking close to Southwold Pier, making this an ideal starting point for your seafront stroll. 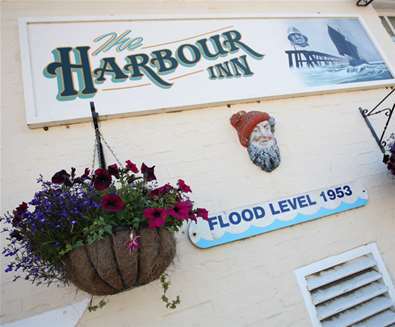 Start at the Pier and walk along the town's promenade, lined with the iconic beach huts (some of which have sold for upwards of £70k! )/ Ahead you will see the Lighthouse, walk up the steps or slopes and head into the town, or continue forwards following the beach. 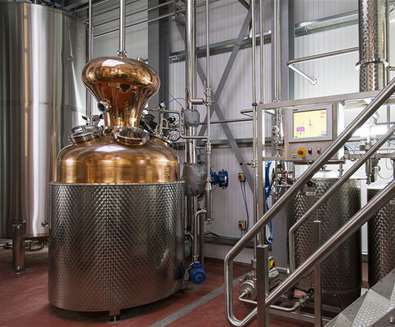 Continue forwards, keeping the sea to your left and walk along Ferry Road. 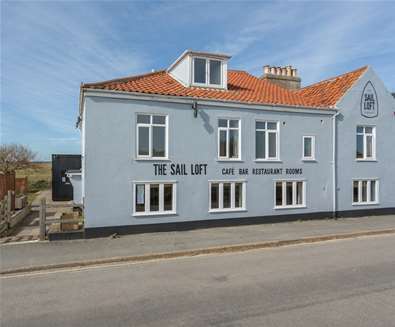 Stop in at The Sail Loft for lunch and a pint of Adnams before continuing on towards Southwold Harbour, where you can warm up and tuck into steaming hot fish and chips at The Harbour Inn. 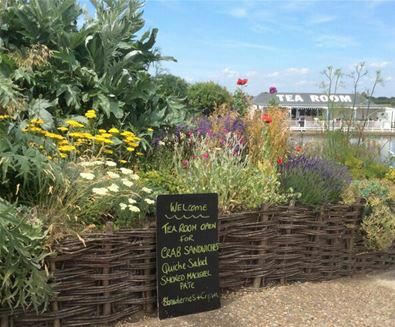 Walk back across the marshes and common, through the town and back towards the Pier, where you can finish the walk with a slice of cake and a cup of coffee at Southwold Boating Lake Tea Rooms, or head on to Southwold Pier and The Clockhouse or The Beach Café. 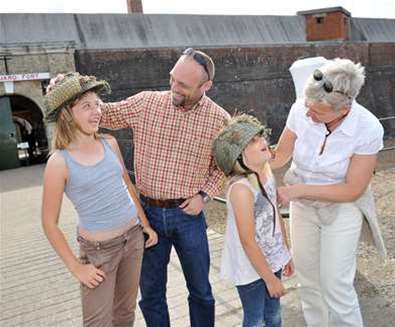 Aldeburgh really is the place for a traditional seaside escape. The pastel-coloured 19th Century holiday villas line the promenade and the pebble beach with fisherman’s huts is just yards away. 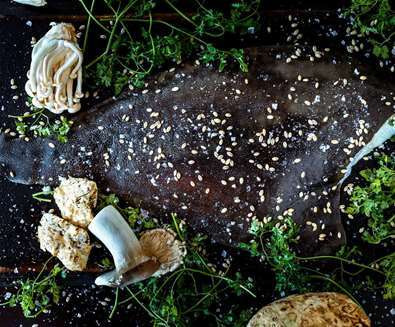 Don’t miss the chance to buy fish that’s as fresh as it gets! 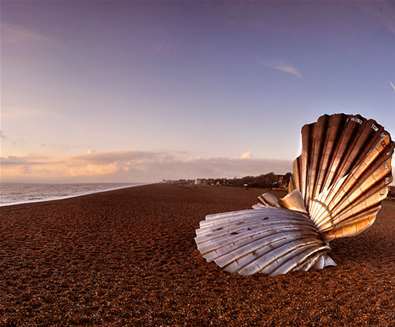 You can enjoy a bracing coastal walk along Aldeburgh's along seafront all the way to the quirky village of Thorpeness via a coastal path. 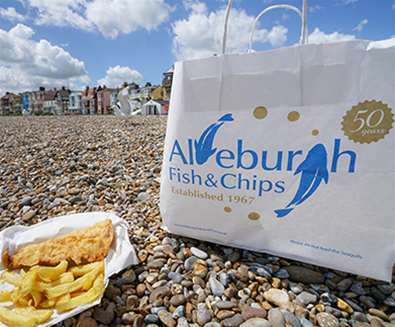 Before setting off, fill your boots with meal of freshly caught local seafood at The Brudenell or The White Lion, or grab a packet of steaming hot fish & chips from Aldeburgh's famous fish & chip shop and head to the beach to enjoy your lunch. 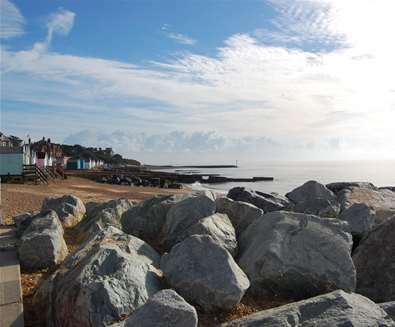 From the High Street, you will continue forwards past a stretch of shingle beach which is a local nature reserve and site of special scientific interest. 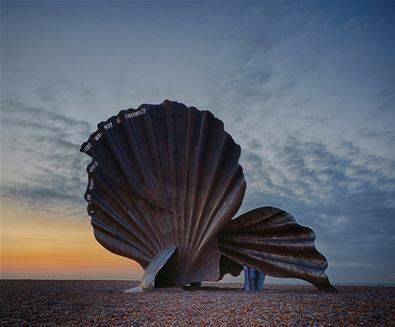 Carry on north and you will pass one of The Suffolk Coast' most iconic images; Maggi Hambling's 'The Scallop' sculpture. 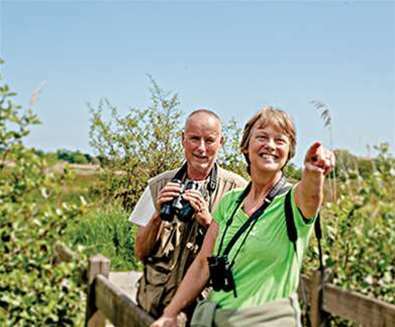 You will then pass RSPB North Warren nature reserve on your right; made up of reedbeds, heathland and marshes and home to migrating ducks, swans and geese in the winter months. 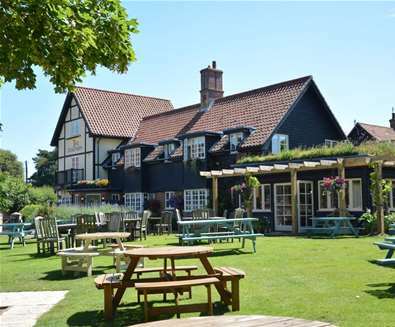 Once at Thorpeness, find a table next to the roaring fire at The Dolphin Inn and reward yourself with a hearty meal and pint of ale.